In the past few years there have been numerous audiophile labels that have lost their license to produce some of the finest high quality masterpieces and titles from some of the greatest artists of all time. Over the last decade these very limited edition pressings have sky rocketed in price within the collectors market because of each recordings rarity and supreme quality. As collectors we pride ourselves on owning these valued masterpieces (as a culture we are not traditionally down-loaders), and as collectors, we must understand the uniqueness of the audiophile market. There is hardly ever any warnings that a collector receives regarding pressings that will no longer be obtainable, and if warnings are delivered, it usually occurs when inventories have depleted past the point to fulfill any demand. The latest example of this is the Simply Vinyl company who recently lost their license to produce Universal titles, which included fantastic titles by rock n roll and reggae greats that were pressed on 180 Gram Virgin Vinyl LPs. Now these titles are gone forever and the prices are skyrocketing to $60 or more because of the very limited remaining stock. Mymusicfix is a company that enjoys assisting our customers in keeping their finger on the pulse of the ever changing audiophile vinyl & cd collectors market, because our customers as audiophiles, stand alone within the ever changing home entertainment market. Please check back with us over the next few weeks leading up to the Holidays as we dedicate our next group of newsletters to listing all the titles that have disappeared from the audiophile market, as well as our top sellers over the past year. Almost all of our inventory are limited editions and have a tremendous chance of disappearing from our site within the next year so if you see something that strikes a chord with you, donít hesitate, as they could be ìHere Today and Gone Tomorrow." All of the following MFSL & DCC titles are now tremendously limited and are within months of disappearing from the audiophile industry in Factory Sealed condition. This is definitely your last chance to own these masterpieces. Over 90% of MFSL Vinyl titles have disappeared from the audiophile market this year alone. 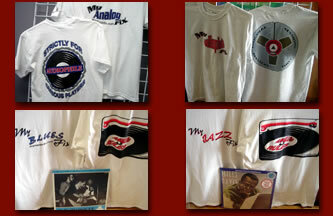 To order any of these mymusicfix masterpieces please call 949.454.8577 x 10 or email mymusicfix2@msn.com. To purchase any of the above titles individually go to mymusicfix.com and use our search located on our home page. We accept Visa, MasterCard, Paypal for confirmed shipping addresses & Money Orders. 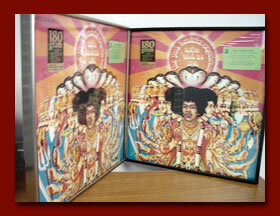 For international customers, please email for shipping rates and purchase by bid pay.